In case you don’t live in Seattle, or you haven’t read anything on Yahoo, Weather.com, or any other news source, the PNW is facing some insane weather conditions. Schools have been closed for two days (looking like it will be three), ice and snow have been falling from the sky—yes I said ice—, and power outages are happening all over. So far, so good here. Still have power, no car calamities, and BF has been working from home for the past two days. Having a WFH buddy has been fun. To those of you new to this blog…BF is the secret identity name of my boyfriend. BF, I know you've been around me for 48 hours straight, but hopefully you still like me. Yesterday, as we awoke and the roads had been laden with ice and snow, I decided that it was a great excuse to take a day off from exercise. I haven’t taken a day off in a while, and so it was the perfect set up to laze around inside. And laze we did. Apart from a short walk at the end of the day and two trips to Starbucks, we stayed in our little home all day. Mac and cheese included. By the time we were up this morning, I was getting a bit restless. I hadn’t run outside since Saturday…and normally when I take a day off I am up and ready to go the next day ASAP. That doesn’t work so well when ice has coated the snow. Gym was not open, clearly. Literally, there was a layer of ice ON TOP of the several inches of snow, and you needed to break through it in order to clear any of it away. Cleaning our cars off was neat. Driving was even neater. The best part? Frozen rain fell all morning; little pelts of freezing misery, which made the whole melting thing really difficult. We are in a State of Emergency, as declared by the state, and the National Guard has been called. So, what did I decide to do this afternoon? 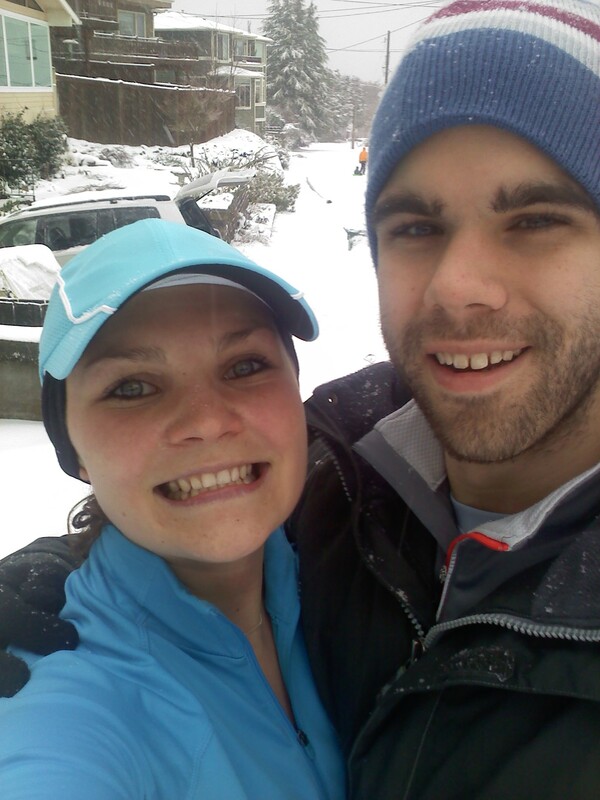 A run is the best idea during an ice storm. So, some of you may think I’m a fool and crazy. And that means you’re very smart, I am. 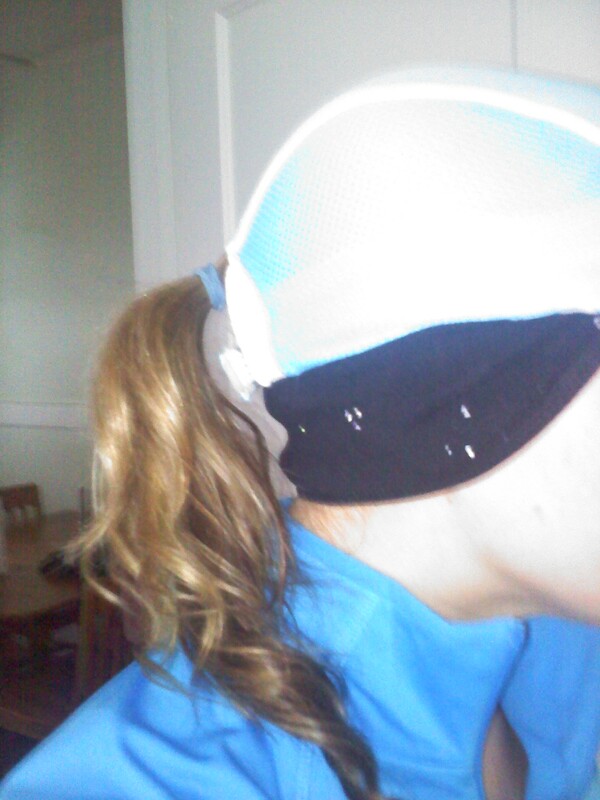 No one should feel the need the run on top of snow and ice, with a headwind, with mini icicles blowing in their face. If this doesn’t sound appealing to you, then I applaud you for being sane. I am not sane, and I was in my own State of Emergency. This run, however, was awesome. 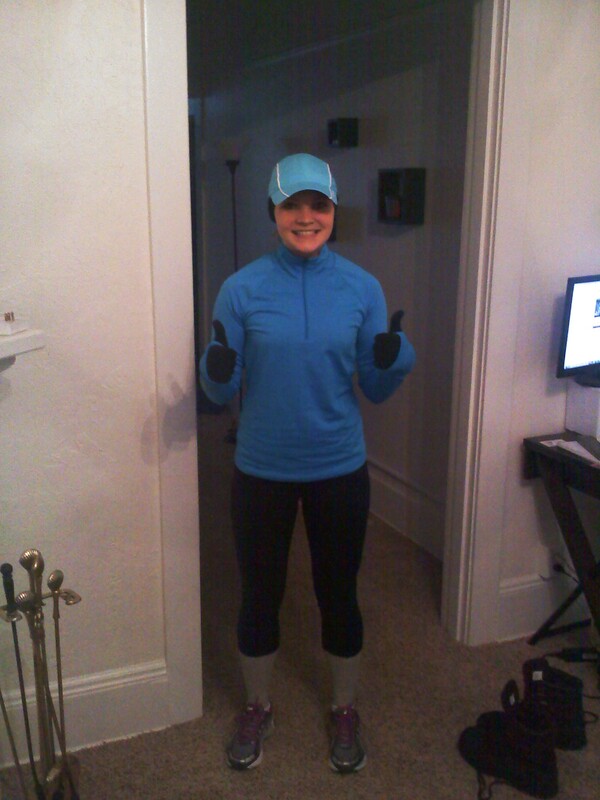 I didn’t realize how bad my cabin fever had been until I started putting on my running clothes. I hadn’t run outside since Saturday, and so I was really antsy to feel that wind in my face and get some miles behind me. Also, as I officially declared that marathon training had commenced on Tuesday, it was a bit paralyzing to have my wonderful running path stolen from me by Mother Nature. Screw you, Mother Nature, I say. But seriously, I decided to act on my habitual, compulsive defiance of obvious variables and go for it. I bundled in an ear warmer, billed hat (most key element), half-zip, long socks, tights, and gloves (second most key element) and I went on my somewhat-apprehensive-but-kind-of-excited merry way. And truly, it wasn’t as bad as I thought. The snow was compacted enough (thanks fellow West Seattle snow strollers!) that I didn’t really sink into it, and there was enough ice pellets/snow on top of the compacted snow to add some traction. I had to watch my step pretty carefully, and there were points where I had to keep my head down completely so as to avoid getting ice bullets in my eyes, but overall it worked out perfectly fine. The end of my run was a trek up the hill by our house, which if you haven’t heard, is a monster of a climb. At this point, it was snowing pretty significantly—and let me tell you about how much fun it is to run up a mega steep incline with non-compacted snow to slosh through. So despite the slowww going at the end, I finished 12.75 miles (a bit more than I normally intend to do on Thursdays), and I was thoroughly infused with a sparkly feeling of adventure and accomplishment. It’s really quite liberating to defy all the norms of inhibiting weather and go out and face it head on. 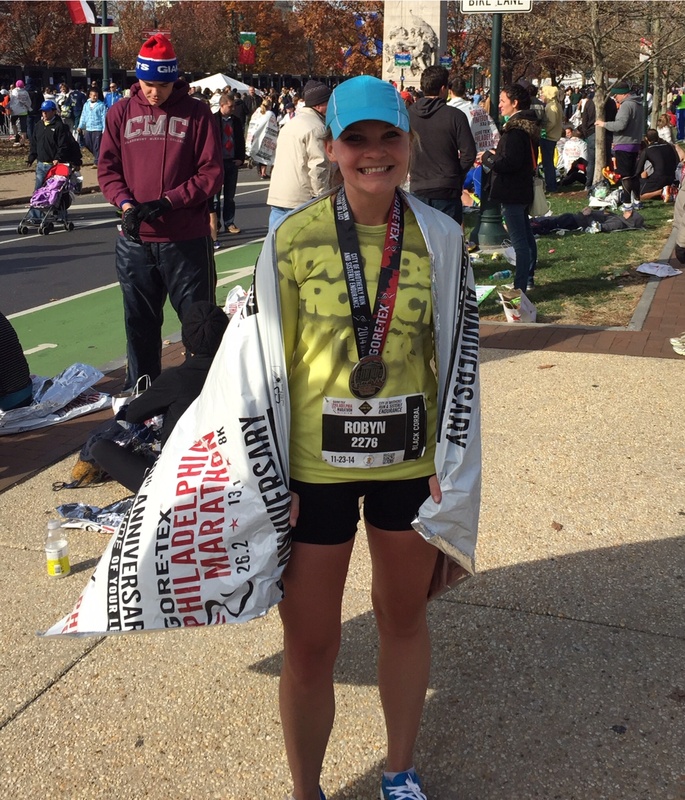 I loved this run, not just because it was necessary and made me feel better about beginning marathon training, but because it helped me remember that running is so accessible—no matter the conditions. Sure, I was slower than normal and had frozen sweat/snot on my face the whole time (hot, yes), but I felt incredibly free—of both my cabin fever and the restraints that we so often let get us down. 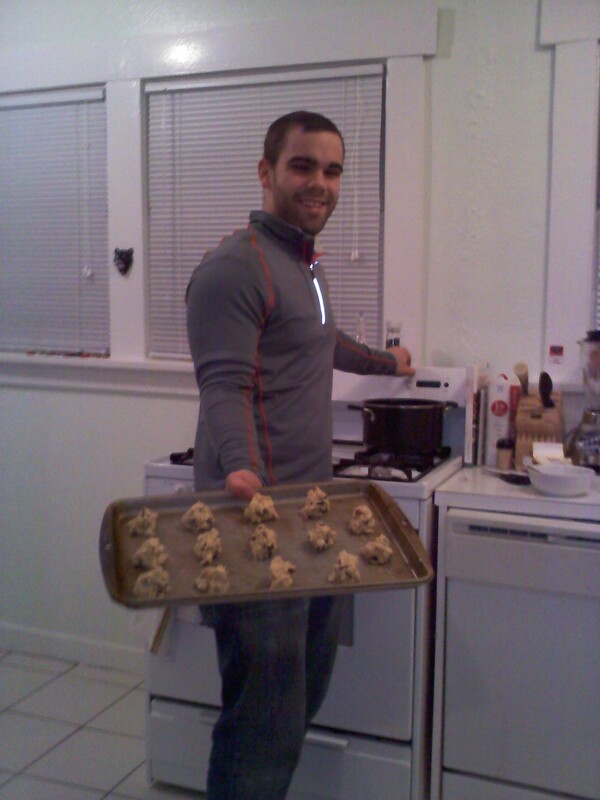 Currently, BF is planning on working from home again tomorrow, and he made the impulsive decision to bake us some cookies. Wait, you thought I dated him for his looks, humor, and charm? Hope everyone in Seattle is safe and warm, and everyone who’s not here…enjoy your ice-free sky. Bad weather really makes you not take things for granted, such has a windshield that doesn’t take HALF AN HOUR to chip/scrap/defrost. Question: What’s your favorite snow day activity? 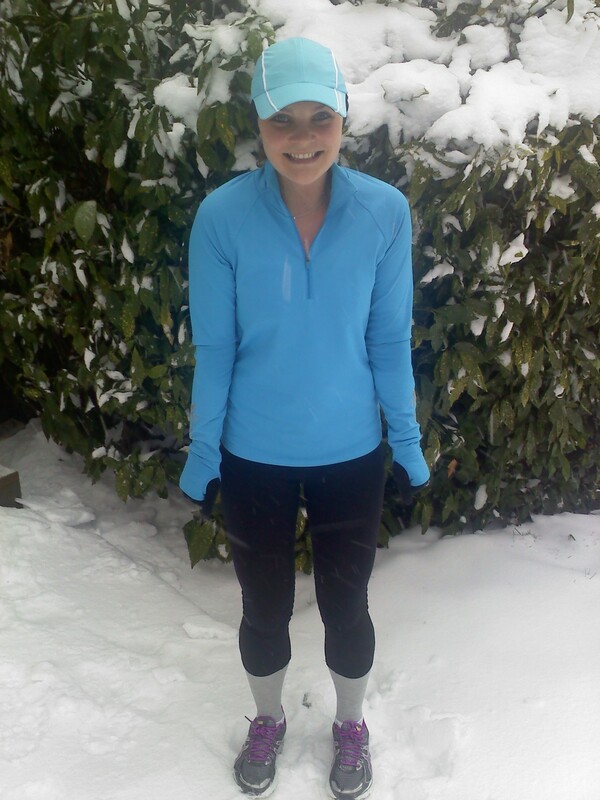 This entry was posted in Running and tagged cookies, happy running, running, Seattle, winter running on January 19, 2012 by runbirdierun.